GOOD+. 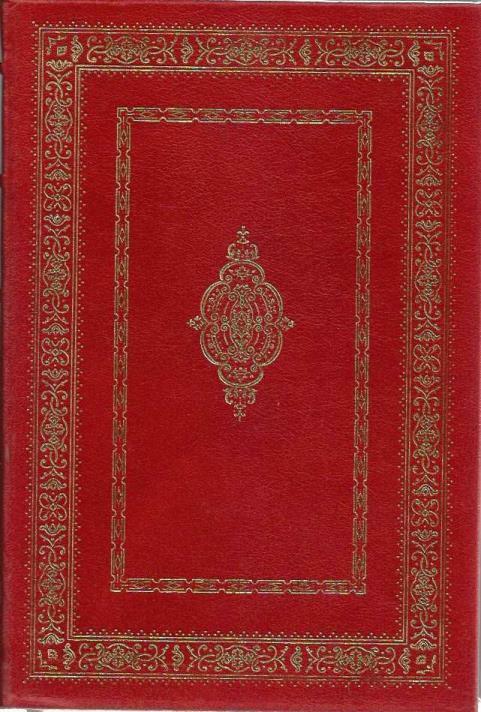 Red leather bound boards with gold gilded page edges and sewn in ribbon bookmark, approx. 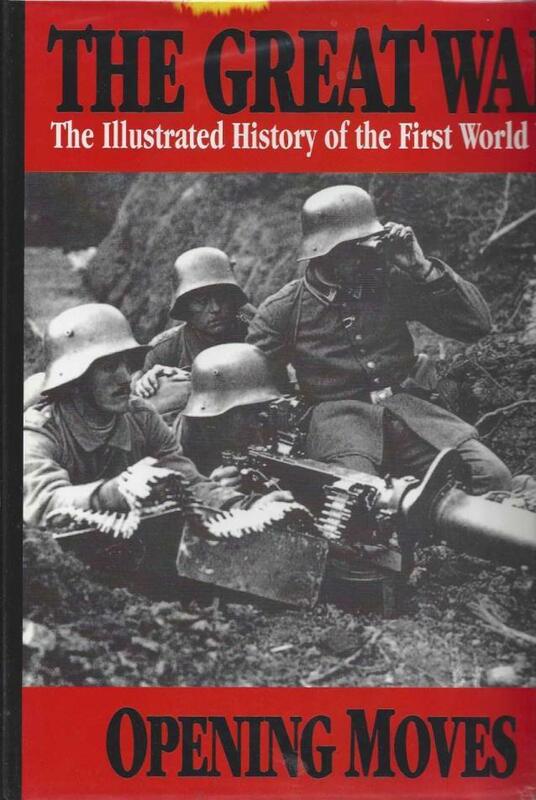 9.5'' x 6.5'', 509pp., very light shelf wear, barely been read. GOOD+/GOOD. 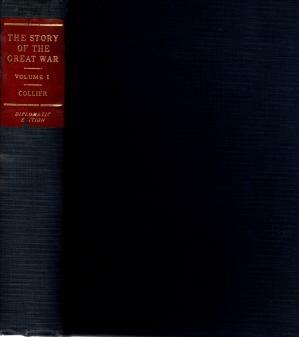 White photo illustrated dust jacket with a greyish spine. Approx. 10" x 8". 272pp. Bumps to edges and corners. 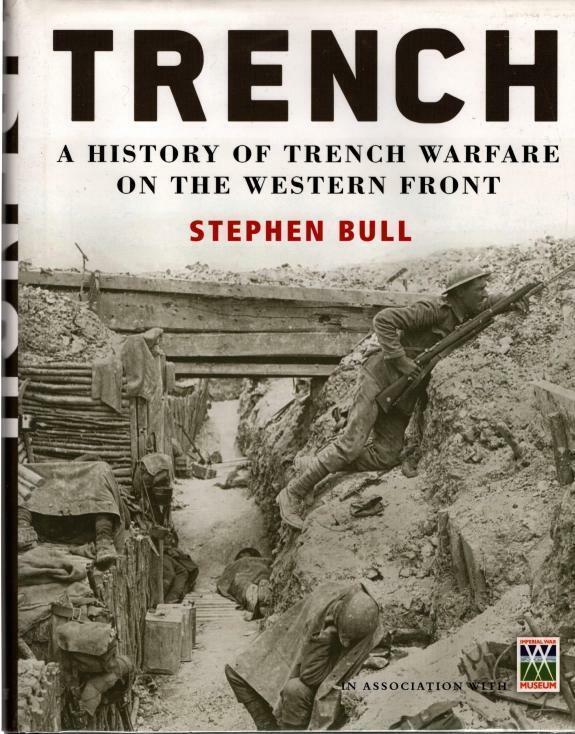 Some light dirt markings above title upper right hand corner. Closed tear to back top corner. Pages are crisp and clean. *8 volumes* GOOD. Blue cloth bound boards, approx. 9'' x 6.5'', all have lightly faded spines, light to moderate bumps to spine edges and corners, light to moderate rub wear to covers, and edges of pages have turned brown with age, some have some small white and light brown stains to covers, 1st volume has pencil writing to top of fly page. 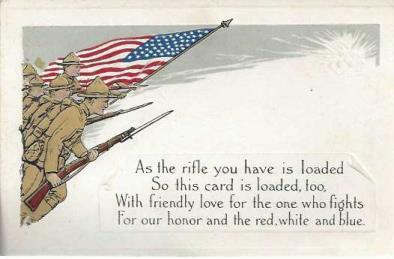 4 Loyalty Series Loyalty Series World War 1-era Postcard: "As the rifle you have is loaded, so this card is loaded, too"
GOOD. unmarked commemorative postcard, undated, circa 1918, bagged for protection, light exterior stains and foxing, small creases to corners. Orange illustrated jacket, dust jacket in archival plastic protector. Approx. 5.5" x 8.5", 320 pages, lightly faded jacket, bookplate on fly page. GOOD. 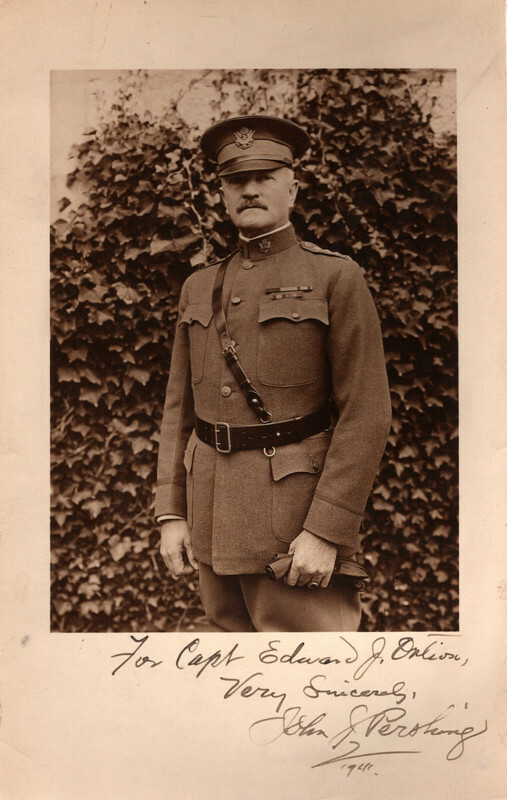 black and white photo, bagged for protection with a stiff backing board, singed by John J. Pershing, for "Capt Edward J. Oaklion(? )," dated 1941, very light stains to edges of pictures. GOOD/GOOD. Black illustrated jacket, dust jacket in archival plastic protector, approx. 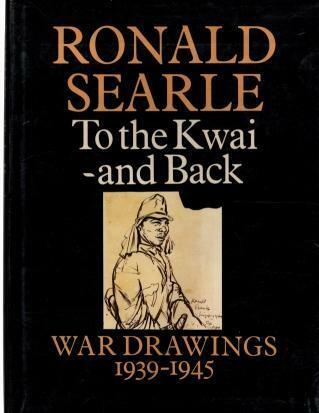 11.5'' x 8.5'', small creases to spine edges and corners of jacket, significant rub wear and light scratch marks to plastic protector, some light gray smudges to inside front cover and fly page, small pencil writing to fly page. GOOD+/GOOD+. Black photo-illustrated jacket, dust jacket in archival plastic protector. approx. 9.5'' x 12.5'' x 2'', 452 pp., oversized, heavy, additional shipping charges may apply, slight creases and chips to bottom of spine edge, slight chips to bottom of jacket, light shelf wear to edges of pages, small section of top edge jacket shows discoloration.